In residential projects, the most important factor will continue to be the developer branding. This means a thorough understanding of prior delivery record, source of funds and a check on essential documents like commencement certificate, environmental clearance and approved building plans. The year 2016 has been an interesting one in more ways than one for real estate markets. A number of initiatives like the passage of the Real Estate Regulatory Bill in March 2016; amendments to REIT guidelines in Budget 2016-17, which exempted levy of dividends distribution tax paid by SPVs to a REIT; notification of the Benami transactions bill in August 2016; announcement of the third list of Smart Cities in September 2016 were just some of them. Eighteen states ratified the Goods and Services Tax (GST) and the GST Council and Secretariat was constituted, the efforts towards incentivising affordable housing continued with the Budget 2016, allowing for additional Rs 50,000 tax exemption for first time home buyers. The most recent move, on November 8, 2016, where the government demonetised Rs 1,000 and Rs 500 currency notes re-emphasised the government’s war against black money across all sectors and specially so for real estate. All these initiatives set the tone for what is in store for the sector and for the mid-income buyer/investor in 2017. A more transparent, better regulated, less cash dominated real estate sector holds the promise of low risk and stable returns. However, even as the sector moves towards consolidation, to cherry pick an investment in 2017, the buyer must keep in mind certain key parameters related to the asset class, geography as well as investment horizon. In residential projects, the most important factor will continue to be the developer branding. This means a thorough understanding of prior delivery record, source of funds and a check on essential documents like Commencement Certificate, environmental clearance and approved building plans. A close to completion project, surrounded by good infrastructure, close to work destinations, with project approval for a home loan by key banks (even if you do not need a loan), would be essential criteria. A check on the status of the land title to understand if the builder owns the land or has development rights for it will be advisable. And most importantly, in 2017 too, try negotiating across the table for a better price, whether it is a primary sale or a secondary market one. And do keep in mind a longer investment horizon of at least five years, as we see the days of fast churning of investments are now gone. With the government’s recent demonetisation move, cash transactions, especially in resale will take a hit, and we hope to see a gradual revival of genuine buyer interest in residential markets across key geographies. Buyer affordability and revised seller expectations, will help dictate a new market determined pricing. In such a scenario, selecting the correct micro-market within a geography will be of immense importance as value picks will be found in these micro-markets. In NCR markets, projects along Noida expressway, NH-24 in Ghaziabad, Dwarka Expressway and extended Gurgaon look promising. In Bangalore, Sarjapur, Kanakpura Road and Varthur look attractive. These destinations are close to IT hubs and will witness continuous rental demand. In Chennai, Guindy, Alandur, Avadi, Perumbakkam, Oragadam and Medavakkam look promising. In Pune, areas close to Mumbai-Pune expressway like Punawale and Mamurdi will offer attractive rental returns. Undri and Pisoli will look good as they will continue to see the spillover effects from Hadapsar and Kharadi. 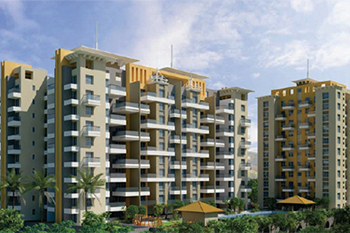 Dhanori, Bhugaon and Pirangut will also offer opportunities. Buyers interested in Hyderabad markets should look at Gachibowli, Miyapur, Chandanagar, Kokatpally and Miyapur. Small office spaces just outside of Gachibowli at Kondapur have seen increased interest from startups and maybe worth considering. The first REIT too is expected by June 2017, and it will provide an instrument offering regular dividends at relatively low risk levels. While it may take the first half of 2017 for the full impact of demonetisation to be felt by real estate markets and transactions will be slow, the second half should see business as usual resume. Things are changing and changing times are indeed the best times for cherry picking opportunities for the mid-income buyer.